One of the most difficult parts of running a social media contest isn’t coming up with a great idea that your audience will respond to. 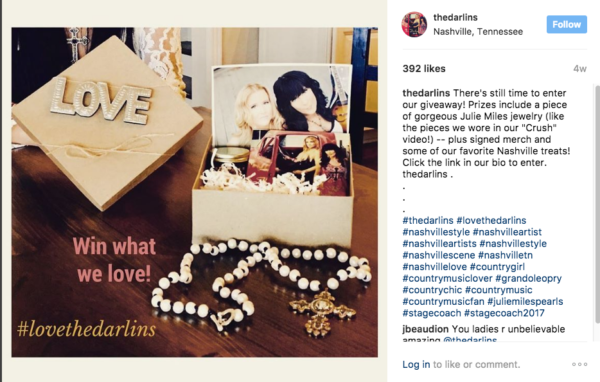 It’s knowing exactly when and how to promote the contest. When I help my clients run their social media contests, I’m always asked: How often should I post about it? They also want to know what times of day, and what kinds of content, they should post. Creating an editorial calendar is the best possible way to address these issues. Editorial calendars can simplify the social media management process in general, but it’s especially helpful when you’re running a social media contest. Keep reading to see how to create an editorial calendar that will make your next contest your best (and easiest) ever! First, What is an Editorial Calendar? An editorial calendar is basically a schedule that you create to map out exactly what content you want to share, when, and on which specific platforms. When used regularly, your editorial calendars can help you plug in perfectly timed posts to promote your business’s campaigns, sales, or events. In this case, the editorial calendar can help you plan a promotion schedule that will help you get the word out about your contest. The calendar itself doesn’t have to to be anything fancy. It can be a simple list or a spreadsheet. You can create columns for the platform (Facebook, Twitter, your blog, email, etc. ), the date and time you plan to post, and even the verbiage. That way all you have to do is copy and paste. The ability to plan specific posts more efficiently. The last thing we want to do, as small business owners or brand managers or even agency reps who are juggling many clients, is to have our hands too full during a crucial contest period to spend time crafting a great Facebook post or Tweet. Editorial calendars let you write and plan specific posts for specific dates and time. You can tie in relevant references that apply, especially if they contain popular hashtags like #TBT, #TGIF, or (as pictured below) #FreebieFriday. This is much easier to do when using an editorial calendar. The ability to see the big picture. When you’re able to see everything laid out on an actual calendar, it’s much easier to see the big picture. Do you have enough posts telling users how to enter the contest? Have you hyped your prize enough? Are you promoting it far enough in advance? The only way to truly answer these questions is to look at all your posts on a calendar, and see how they build momentum from one day to the next. The ability to see in black and white how you’ve spaced out your posts. Timing can make a world of difference, and intentionally spacing out the posts promoting your contest can help you get the best results. Plan on having some content to go out at your peak morning hours, and the next day’s post to go live during your peak evening hours. The ability to upload posts ahead of time. If you’ve got your posts planned, you can upload them and schedule them ahead of time. Not only is this more convenient, it also guarantees that you’ll never miss an opportunity—even if you have a chaotic last-minute crisis to handle, or your internet goes out, or it just slipped your mind. It’s loaded and ready to go. Facebook lets you do this on your Page, and scheduling software will let you do this for multiple platforms. When you’re creating the editorial calendar for your contest, first decide when the contest will run. If it runs from June 15th to June 25th, for example, you’ll be able to better plan out the specific dates and times your posts promoting the contest should go live. Pull up your calendar and start planning. 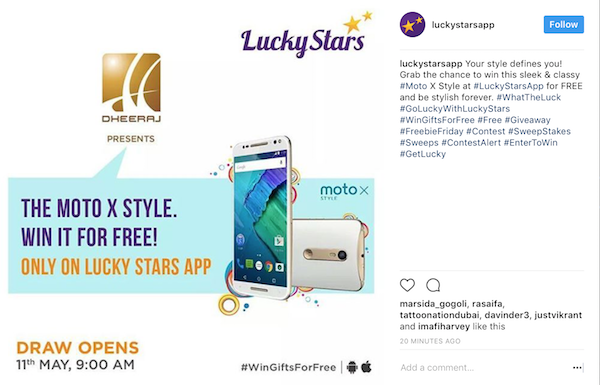 You can plan for announcements of the contest, posts that detail what the contest is, daily posts to remind users to participate, the “last day to enter” post, and an announcement of the winner and thanking all participants. You can find the images and write the copy ahead of time, so all you have to do it plug it in and post it at the different peak times for optimum engagement. June 14th: One day left! Ready to create an editorial calendar for your next social media contest? 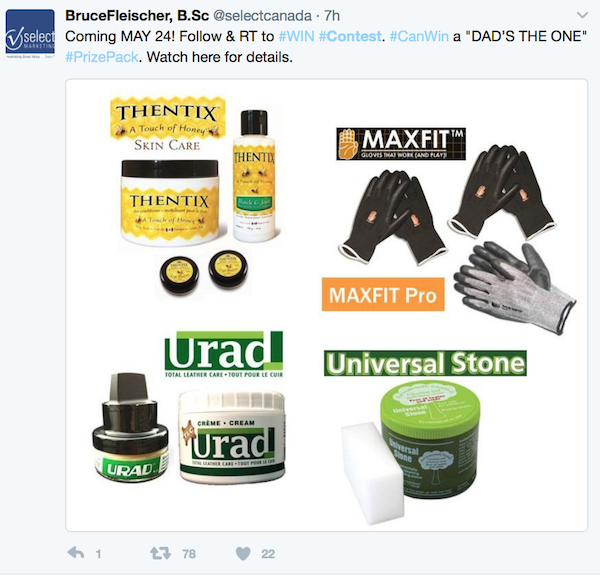 There are several different types of tools, including social media giveaway tools, that can make the process easier while increasing the efficiency. Native platform analytics can be powerful resources when you’re deciding when you should post. 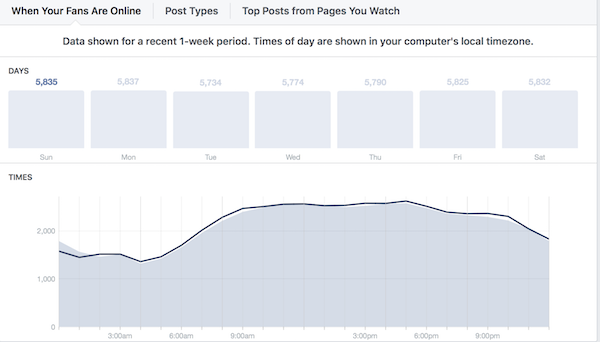 Facebook’s Insights, for example, can show you the peak times when your users are most likely to be online and engaging with your posts. You can take this into consideration when creating your editorial calendar for maximum results. You can also use social scheduling and publishing tools like Buffer or Agorapulse (pictured below). You’ll also want to keep an eye on your contest’s engagement as it’s happening in real time. The best way to do this is through analytics, like ShortStack’s. 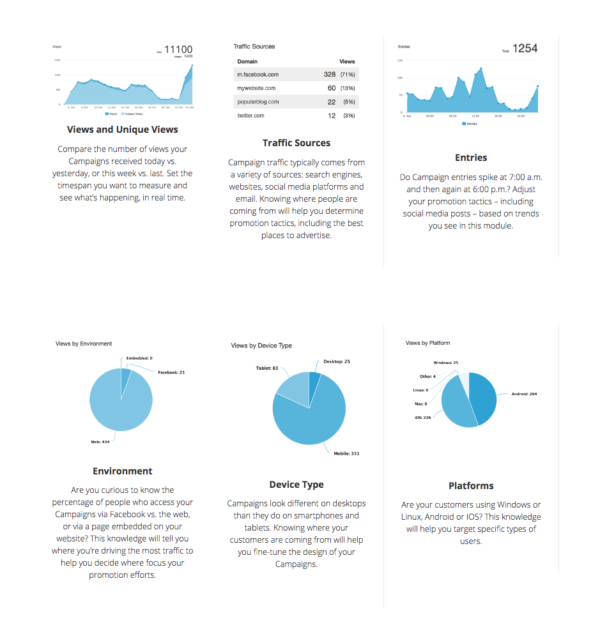 Not only does ShortStack let you gain valuable lead information instead of just likes, it will also give you incredibly detailed analytics as your contest progresses. When you’re running a social media contest, and trying to organize your social competition ideas, using an editorial calendar will make your life significantly easier. You’ll be able to see both the big picture, and the specifics of each post you’re using to promote it. The combination of these two benefits will allow you to plan and execute your contest for optimal results. Ana Gotter is a frequent contributor the ShortStack Blog. She also writes for Social Media Examiner, among many other outlets.